I am by no means at all a good chef, I am awful at cooking and wasn’t planning on sharing a post on what I eat for lunch as it really is so simple, but I have had a few people ask me to after seeing me banging on about my halloumi and rice creation over on my Instagram stories so I thought what the hell. This is my absolute favourite dish at the moment. 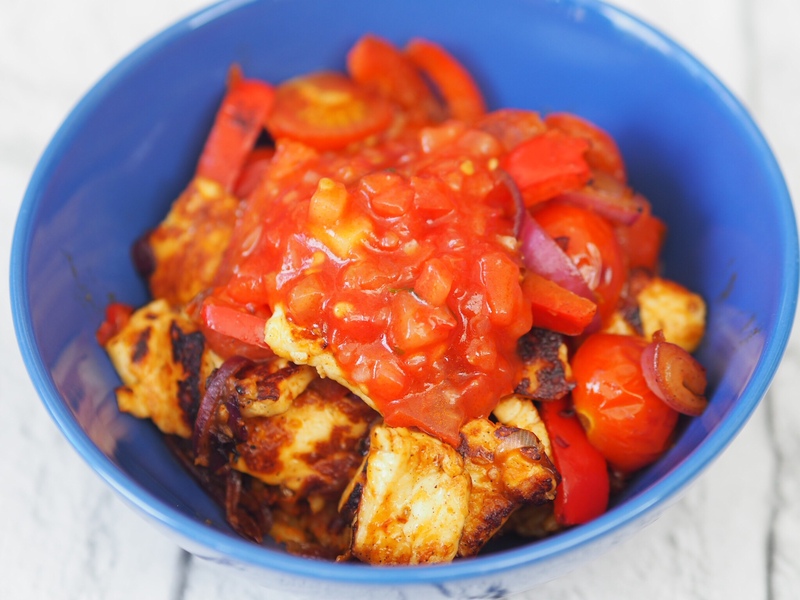 There doesn’t seem to be a day go by that I am not grabbing the halloumi, pepper and cherry tomatoes from the fridge, adding in a red onion and some rice and whacking it all together with some Nando’s sauce and a dollop of fresh salsa for a yummy bowl of goodness. This one doesn’t even need any explanation really. I am a cheat when it comes to soup and cannot be bothered to be faffing around making it fresh (although I’m sure it would taste even nicer if I made the effort). I am experimenting with soups at the moment but I do tend to like smooth varieties and this Carrot and Coriander one from Sainsbury’s is a firm favourite for the colder autumn days when you need warming up. See, told you they were simple…. next stop Master Chef!